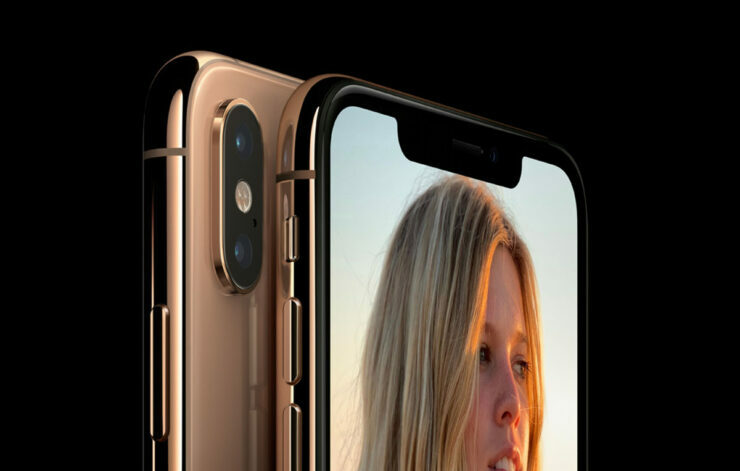 After the launch of the iPhone XS and iPhone XS Max, several users pointed that the device applied some sort of a smoothening effect on the selfies. Soon the “BeautyGate” term was coined, accusing Apple of applying a beauty filter for enhanced selfies. Traditionally, beauty filters smooth the skin for better-looking selfies. However, this isn’t always true. The claims saw an upward traction over the past few weeks. However, YouTuber Jonathon Morrison had different plans with tricking users into thinking that the selfies he posted on social networking platforms were taken from the Google Pixel 2. The reality, however, was different. Let’s see some more details on it. The BeautyGate claims were put to a test by Jonathon Morrison as he posted a series of selfies on Instagram and Twitter over the weekend. The caption of the photos suggested that they were shot on by the Google Pixel 2’s Portrait Mode. Furthermore, the YouTuber asked his fans to share their thoughts on how the images came out to be and if they were better than the latest iPhone XS. This is where the commentators praised the Pixel 2, stating that the images were DSLR quality and that the Pixel 2 was still one of the best cameras on a smartphone. In addition to this, some users also commented that the selfies were high-quality without applying the make-up effect and that the Pixel 2 featured the best Portrait Mode of all smartphones. Seemingly, Jonathon Morrison posted a video on YouTube on Sunday, revealing that the images posted over the weekend were not taken on the Google Pixel 2, but instead taken on the new iPhone XS Max. Check out the video embedded for more details. So I just wanted it to be a little bit of a lesson out there: don’t let a preconceived notion or headline skew your judgement. Because clearly, everyone who thought that it was a Pixel automatically assumed it was much better than the iPhone, when in fact that was the same iPhone XS Max that apparently had all of the BeautyGate problems. Morrison did not deny the fact there wasn’t anything happening on the selfie camera of the iPhone XS duo. However, it was detailed that it is not a beauty mode or any skin smoothening filter, but noise reduction. The iPhone XS takes several shots at varying exposures and then combines them to reduce noise in photos, which users have been coining it as BeautyGate. The so-called filter is applied to the entire image and not just the skin tone. There will be more to the story, so be sure to stay tuned in for more. This is all for now, folks. What are your thoughts on the iPhone XS BeautyGate situation? Let us know in the comments.